Each day, the average American spends eight and a half hours in front of a screen and receives 63,000 words of new information. If you ask someone how they are doing on any given day, most answers will include the word “busy.” This is true for me as well. After digging a bit, I find that it’s not my workload that makes me busy. It’s the amount of distraction and my lack of focused working time that is to blame. With a few easy steps, we can all reduce digital distraction and enjoy focused, productive working time. As part of my ongoing effort to be more productive with my time, I have been using a desktop application called RescueTime that tracks my activity when I am on my computer. Today, I checked in to see how I have been doing the past couple of months. I’m embarrassed and horrified at what I found. In the past two months, 22% of my total time on a computer was dedicated to email and messaging applications. 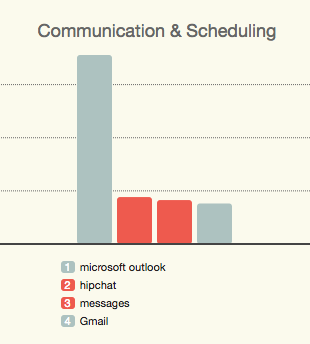 13% of all time that I spent looking at a screen was using Microsoft Outlook (work email). This is a problem. It’s obvious that spending 1/5 of my time simply reading and responding to emails and messages is leaving a lot of productivity on the table. But it’s even worse when you consider how that time is spent. If I were to open up my laptop in the morning and spend the first two hours of my day clearing out my inbox, that would leave me the rest of the day to be productive on other things. In a standard 8 hour workday, 6 hours of uninterrupted “flow time” is actually pretty solid. Unfortunately, that’s not how I usually spend my time. My typical routine is to start my workday, check emails, write out a task list of what I need to do for the day, then get to work. However, the culture of the connected workplace leaves me constantly checking my email and responding to messages throughout the day. The two hours of email and messaging does not happen in a focused block of time. Instead, it happens in short bursts of 1-5 minutes as I attempt to multitask (impossible) and switch between windows on my desktop (distracting). The result is a work day full of interruptions with very little focused time to work on any important tasks. When workers sit in front of a computer screen, no more than three minutes at a time go by without interruption. A study of 150,000 smartphone users found that these devices are unlocked 110 times per day on average. During peak evening hours, people check their devices nine times per hour. The average worker loses 28 percent of each day to distraction. Sounds about right. On average, people spend about half their time thinking about something other than what they are doing at any given moment. The flagrant amount of time that I waste on my desktop each day is likely dwarfed by the distraction caused by the smartphone in my pocket. Another stat that I find fascinating is from a University of California Irvine study stating that it takes an average of 23 minutes and 15 seconds to get back to a task after interruption. The same study also explains that after only 20 minutes of interrupted performance people reported significantly higher stress, frustration, workload, effort and pressure. We are not busy. We are distracted. I tallied it up today and between my work email, this blog and my personal Gmail account, I receive over 7,192 emails per month. I’d imagine that the numbers are similarly high for most of us. Even if we delete most of these emails as soon as we see them, we are still taking a few seconds per email to identify the sender, read the subject line, then delete or file them. 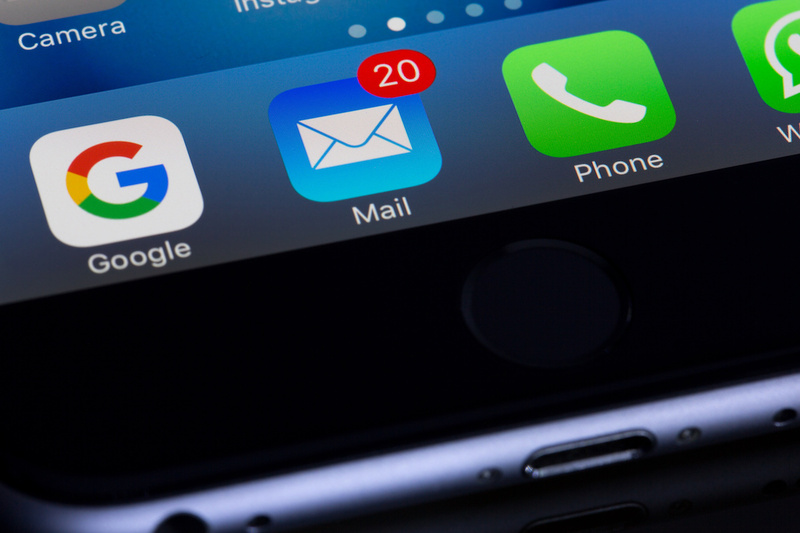 Those few seconds add up to hours when applied to thousands of emails. 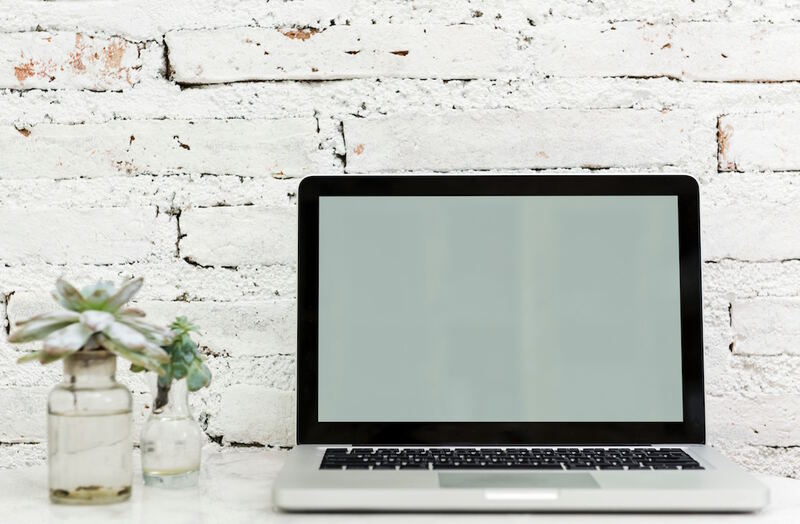 The first step of decluttering your digital life is unsubscribing from any unnecessary emails. I’m sure you are familiar, but just in case, you can find an Unsubscribe link in every email that you receive from a brand or publisher (typically in the footer of the email). This morning, by going through my three inboxes, I was able to unsubscribe from 84 email lists. Many of those are emailing me daily, or multiple times per day. This step alone will save you hours over the course of a month and only takes a few minutes. No more chat windows popping up. No more notifications on my iPhone screen that catch my attention when I’m focused on something else. Cut out notifications from as many applications (desktop or mobile) as you can. For me, this included email notifications, desktop messaging apps, and all apps other than text messages on my phone. Sure, you may miss breaking news or your latest Facebook notification, but trust me, those things will still be there later. The tradeoff to reduce digital distraction is worth it. 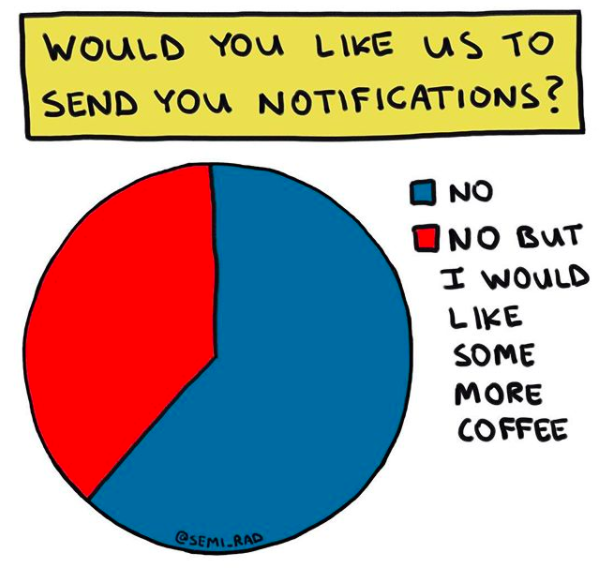 I believe that this is more of an issue in some workplaces than in other areas of life, but I struggle with coworkers sending quick questions on our office chat application throughout the day. This also happens if you have text messages on your desktop, or get notifications from multiple messaging apps on your phone. For the next two weeks, I’m going to shut down all messaging notifications on my laptop and receive only text messages on my phone. No Facebook Messenger. No What’s App. No HipChat. No Slack. This will likely lead to more face-to-face conversations, but will also force would-be message senders to consider if an interruption is actually necessary. My new schedule consists of creating a task list each night, then starting the following day with the most important tasks. I will allot one hour of focused work time before I open up any email or messaging application each day. I will then schedule one thirty minute block to read, prioritize and respond to emails in the morning. I will schedule another email block in the early afternoon. No touching the inbox other than those two times. This allows us to control our own time and decide what’s important, rather than allowing some sender in your inbox to set your agenda for the day. I’m sure that these changes won’t completely wipe out all digital distraction, but I am confident that this is a good start. If nothing else, I have reduced many of the automated distractions that occur on a frequent basis hundreds of times throughout the week. Over the next month or two, I’ll be continuing to track my time and productivity and uncovering additional steps that I can take to optimize both. I’ve scheduled time at the end of each week and month to review how my time was spent and make sure that these changes are helping me to make progress. If you have any tips that have worked for you, please leave them in the comments or shoot me an email. I’d love to hear more.